If you are like most men, on a muscle building journey, your goals will be to get that perfect beach body, bulkier biceps and chest. Strength? Does it figure in your mind? If it does, you need to have more muscle mass on your body, and here mass gainers can help. Make the most of the gaining season, and build that muscle mass you have always wanted to but were afraid of. Yes, because you have been trained to believe that gaining muscle comes at a heavy expense, a significant amount of body fat. Building muscles require focusing on nutrition and working out hard in the gym. Still, your workout intensity in the gym will not decide how your body is going to look until you eat the right amount of macronutrients to recover and grow the muscle. Therefore, you need to find the exact calorie intake required to build the muscles over and above your daily maintenance needs and activity level. Mass gainers are handy because they provide that extra dose of calories without any fuss. Building muscle is not going to happen until you go in a calorie surplus situation. In order to arrive at your calorie intake, you need to find your Basal Metabolic Ratio, the number of calories your body burns at rest in maintaining its bodily function. It is close to 70 percent of your everyday calorie spend. Multiply it by your daily activity level, the closest match from the list below and you will have the approximate number of calories required by a 25-year-old male. Now that you know your BMR and Daily Activity Number, you need to add an extra allowance of 300-500 calories per day to build muscle. If you have a really tough time gaining muscles, you should make sure that your calorie surplus is in the range of 400 to 500 every day. This is an ideal surplus to build muscles, yet small enough to avoid excessive gains in unnecessary fat. Focus on big, compound movements like the squat, bench, deadlift, and overhead press in the 1-3 rep range. To further push your strength and muscle size, you need to do intermediate rep work in the 4 to 6 rep range to further push strength and muscle size. You can periodize your training (focus on specific reps/sets/movements) for a month or two at a time. You can train 3 days per week in one month, 4 in the next, and then move on to a more body part split in the next. As long as you are trying to lift heavier weight, you're on the right track and keeping some movements similar so you have the ability to track strength progress over each month. 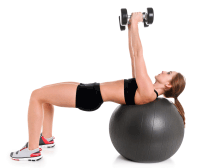 Without a doubt, mass gainers offer an easier route to weight gain typically for hard gainers. Unlike whey protein, mass gainers have a lot of calories. They are just perfect for anyone who is struggling to meet their calorie needs without taking recourse to junk foods. Calories are required to gain mass. There is no escape from the fact until you are a complete newbie. Equally important is the source of calories. You cannot expect to gain muscles by eating junk foods. Mass gainers contain a healthy mix of nutrients derived from complex carbs and proteins in a ratio of 3:1 to fuel your muscle gains. 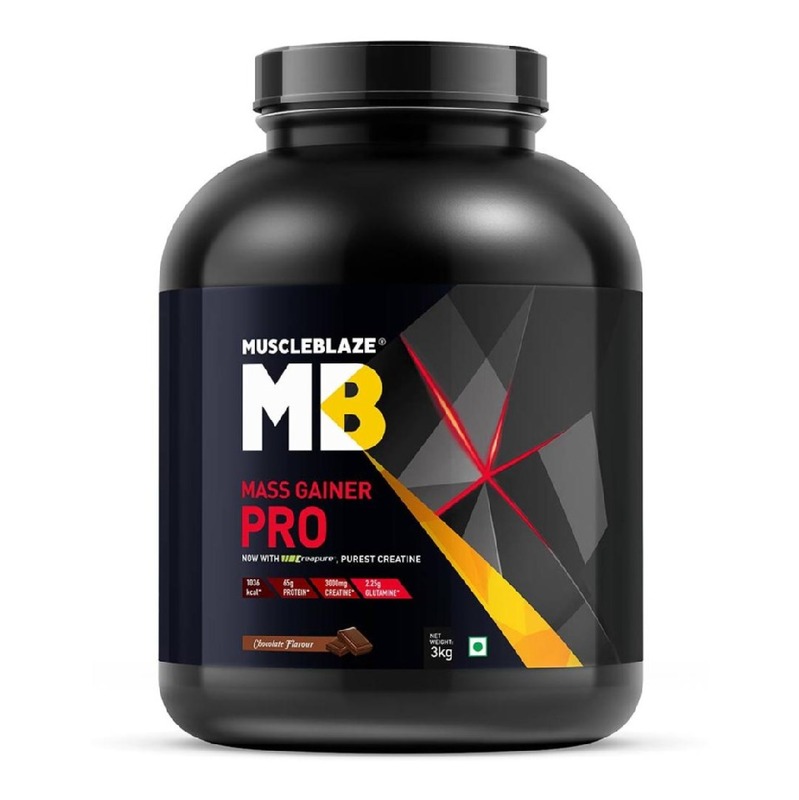 A high-quality mass gainer, like MuscleBlaze Mass Gainer XXL will be extremely low on sugar and rely on complex carbs and high-quality proteins to meet the calorie gap. A professional like you needs a mass gainer that works as hard as you do. Mass gainer powered with creatine, the most researched supplement is just right for you. When taken as a supplement, your body converts creatine into creatine phosphate, which gets stored in the muscles and is used as energy. During weight lifting and training, creatine phosphate is converted into ATP, your body's energy currency. Naturally, this helps delay fatigue and allows you to outdo yourself each time you hit the gym, very much needed to build muscles. Creatine may be able to increase muscle mass within two weeks when combined with exercise. 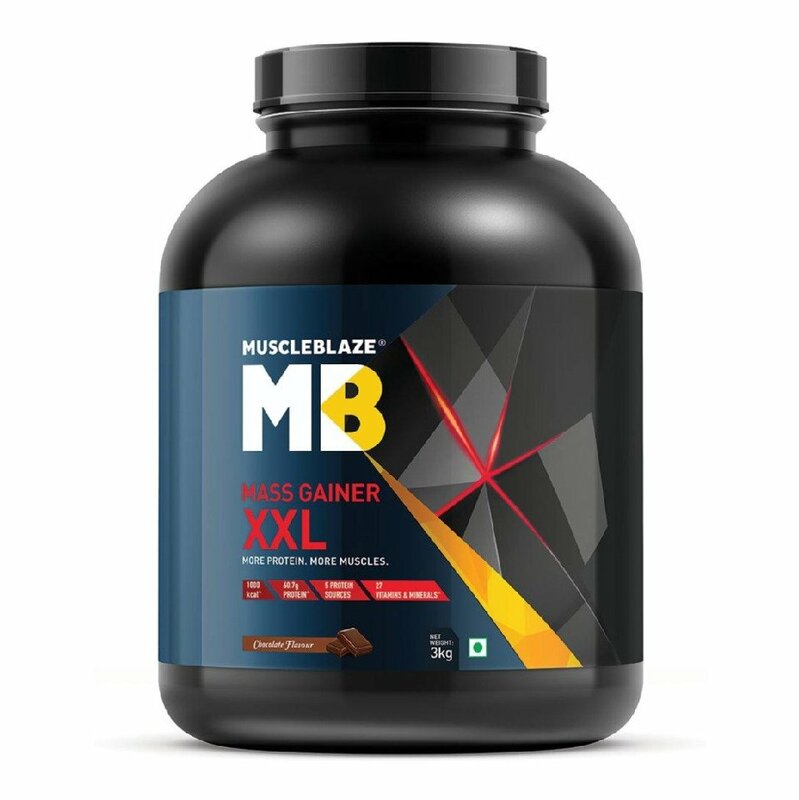 Most high-quality mass gainers, like MuscleBlaze Mass Gainer XXL contain a healthy mix of multivitamins that fill in the micro-nutrient needs and help improve metabolism and build energy for intense training sessions. 8 B vitamins help the body convert food into fuel to produce energy and play a role in metabolising fats and proteins. Vitamin C builds and supports immunity, required by bodybuilders. Vitamin E, Vitamin A and Vitamin C work as antioxidants and help scavenge free radicals, a byproduct of intense workouts. Calcium is needed for stronger bones and iron ensures a healthy level of haemoglobin in the body. Glutamine is an important, non-essential amino acid that is found in high concentrations in your blood plasma. 'Non-essential', here implies that your body requires this amino acid, but you can synthesize glutamine in your muscle tissue. This amino acid can affect amino acid metabolism and nitrogen balance in your muscles. 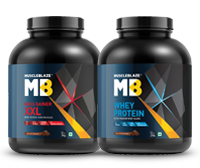 It is important in a number of metabolic processes related to muscle recovery and exercise, which makes it a necessary supplement for bodybuilders and athletes looking to gain muscle size and strength. Glutamine is involved in the production and regulation of human growth hormone, or HGH. In his book "Nutrition for Health, Fitness, and Sport," nutritionist Melvin H. Williams writes that glutamine has been shown to increase HGH levels and stimulate protein synthesis, or the formation of new proteins, by increasing muscle-cell volume. Choose your mass gainer sensibly because you want clean calories and not junk. Do remember to work out intensely because if you don't the additional calories will find a way to land on your waistline.